- Support 2 kinds of H.264 video stream and 1 way MJPEG video stream simultaneously, suitable for Local, Internet and Cross-platform view. - Adopt mega pixels CMOS sensor, support 720p (1280*720)/640*360/320*180 video resolution. sent to the live scene, to achieve two-way intercom function. Audio support G.711 and G.726 types. Support echo suppression. - Support IR and color filter change automatically, no any color difference. 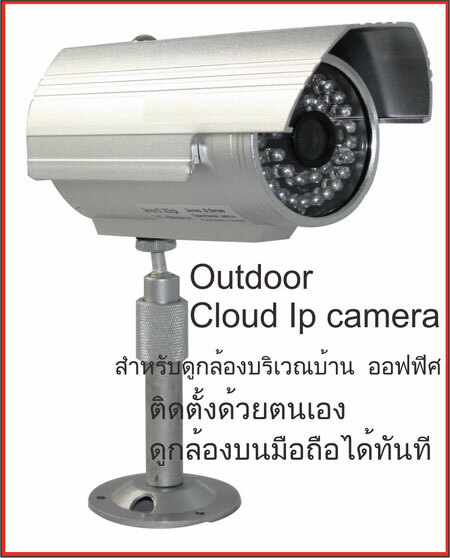 - Infrared LED for night vision covers 20m area, to realize 24 hours monitoring. - Support waterproof class of IP66. - Support 802.11b/g/n protocol, can build up wireless monitoring..
- Motion detection and alarm pin can be connected to external sensors to detect environmental situation. - Built-in web server, use one port to send all the data, it facilitates network setting. - Support mobile phone watching. - Support video view by other browsers like as Firefox, safari etc. this URL can be used to visit the device. - Manufacture provides free software, support Multi-view, Long time recording, video replay etc.